The Tarot for Self-Care Immersion is a four-week dive into the practical and mystical experience of engaging with the tarot through the lens of self-care. 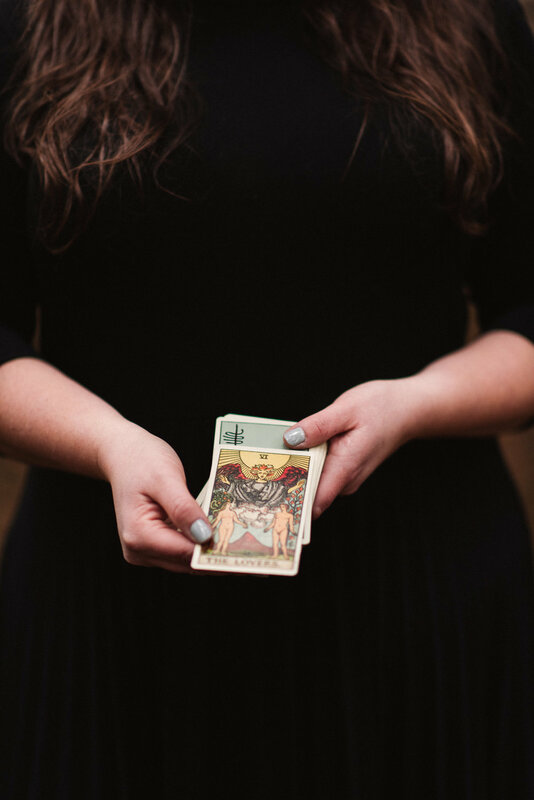 Whether you've been staring at a barely used deck for years or just started your investigation of tarot, this course will lead you to a deeper relationship with the tarot and it's ability to untangle and illuminate your path. Over four weeks together, you will be introduced to each and every card in a traditional 78-card deck. By building confidence in your understanding of card meanings, you will unlock your ability to connect your intuition to the cards and receive the clarity available to you. Each week will include time to practice reading for each other with guidance from Sarah, and include suggested homework and texts for further exploration. You will learn how to create your own tarot spreads, how to cleanse and prepare your deck and yourself for reading, the basics of trance meditation to learn directly from your deck, techniques for holding space for others, and more. No experience necessary, but a basic understanding of tarot or attendance at one of Sarah's previous classes is recommended. Please bring a 78-card tarot deck, a notebook, and a pen. Classes will be recorded and made available to participants in the event that they must miss one of the four dates. $125-$200 per person, sliding scale. Reserve your spot here.